I would like more information about 200-1 Nix Boat Yard Road. No Flooding from IRMA. Amazing property under a canopy of mature oak, pecan and fruit trees. 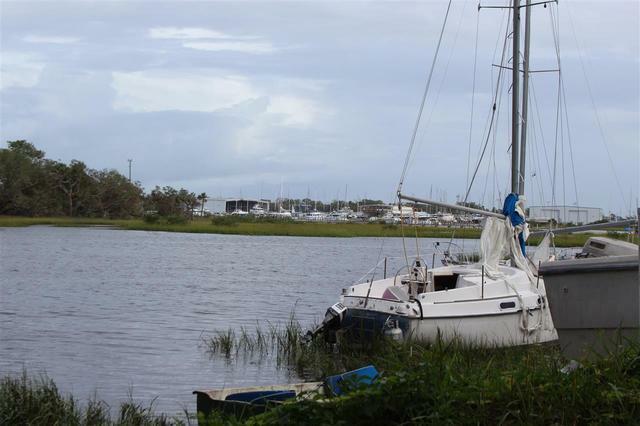 This property sits just off the intracoastal waterway on the Gonzalez Creek. Enjoy all that this property has to offer. Currently there are 5 buildings 3 mobile homes, 1 home and one utility barn. It is surrounded by other available parcels, adding up to just a little over 7 acres. The views are spectacular! This is a one of a kind parcel close to everything. The possibilities are limitless. Addnl Marketing Remarks: Other available properties include an established marina that has deep water access. Currently has a 420" T-dock. MLS numbers are 168321 2.87 acres, 169708 1.45 acres 169709 1.62 acres. Parcel ID's 134821-0000, 134832-0003, 134832-0000. The mobile home park is month to month leases allowing purchaser quick possession. Directions: US 1 South. Left onto Nix Boat Yard Rd. Pass Home Depot , property is on the left.